Organic or Naturally Raised Meat - Which Is Better? In 1990, the U.S. Congress passed the Organic Foods Production Act, which set the standards for organic certification of animals raised for meat and poultry production. The United States Department of Agriculture (USDA) has set strict requirements for certification and diligently enforces how organic meat and poultry are labeled. Despite the USDA’s efforts, there is still confusion amongst consumers as to what actually determines whether meat and poultry are labeled USDA Organic or naturally raised. Organic meat is substantially more expensive than conventionally raised meat, and consumers wonder whether the increased cost is worth it. Does organic meat taste better than naturally raised or conventionally raised meat? Maintenance of a farm raising organic meat animals is approximately one-third more expensive than a producer of conventionally raised meat animals. The producer also pays for USDA inspection and USDA organic labels. The FSIS acknowledges that the standards for Naturally Raised are for marketing purposes, and following the standards is entirely voluntary. The FSIS further states that meat products marketed as Naturally Raised does not imply that those products are safer or better than conventionally raised meat. In addition, because there are numerous practices of raising meat animals — access or limited access to outdoors and/or pastures, types of feed, early weaning, humane slaughtering — it was determined that it would be too difficult to enforce the same type of government regulation as for organic labeling. There’s little doubt that organic and naturally raised animals live a better life than conventionally raised meat animals, the abuse of which has been widely documented. Consumers who buy organic meat can feel confident that the extra cost guarantees the animal was raised and slaughtered humanely. Unknown to most people, butchers also purchase organic meat at a substantial markup, which must then be charged back to the customer in order for the butcher to make a profit. 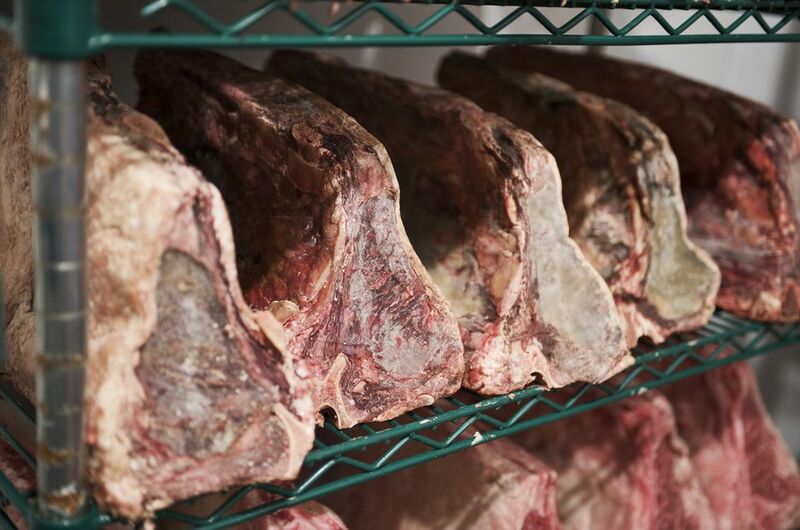 Dry-aged steaks are the big sellers, so to meet the high demand, Cortez must also buy conventionally raised beef cows. Steaks, of course, are only a small part of a side of beef, and though Cortez charges more for organic beef, it is only a fraction of the price he paid for the cow. In order to turn a profit, he practices head-to-tail butchery with organic meats and turns less popular cuts into charcuterie, corned beef, and deli meats. When it comes down to taste, there is not a marked difference between organic and naturally raised meats. Sadly, because conventionally raised meat animals — beef, in particular — are fattened unnaturally and fat adds flavor, most people enjoy their meat more. Organic and naturally raised meats are still somewhat perceived as elitist, and for some people, the extra expense isn't worth the peace of mind that the meat animal was treated humanely. Why Is Seitan a Great Vegan Meat Substitute?